Most small websites have a single admin user that is created when you do the install. 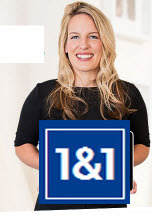 You have more than one site administrator. In this tutorial I want to cover the basics of WordPress user management so that you can confidently setup your own user management scheme. How to Allow users to Register themselves. Creating Users and assigning Roles. A New user screen appears where you enter the user name,email address and password (required fields). New users are given the subscriber role by default, but you can change it while creating them or once they have been created. Although you assign the user a password when you create them they can change their password once they have logged in. 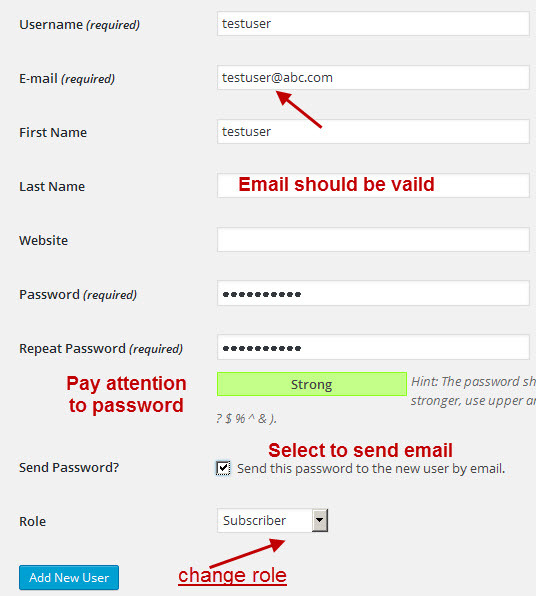 It is normal to send the user an email with the password by enabling this option (screenshot above). WordPress users can be assigned to various roles depending on what task they need to do. Note: The WordPress codex has more details on exactly what these roles can do. Upon installing WordPress, an Administrator account is automatically created, and for most sites this will be the only account. In many cases you don’t want to have to manually add new users, but instead you want the new users to be able to create their own account. If you do enable registration then the default role is subscriber.You should not change this unless you really understand what you are doing. If you are running a membership site then registration is necessary. If you are going to allow comments, then you might can also restrict comments to registered users. However for most small business sites/blogs you shouldn’t allow users to register. The can view all users or users with a particular role. You can manage users in bulk by checking the check boxes. However you can really only delete the users or change their role in bulk mode. You can edit the properties of individual users by clicking on the edit link under the user. This you would use to change a users password,email address or contact details etc. Although you have the email address of all registered users WordPress doesn’t provide an easy way of contacting them via email. To do that you will need to add a third party plugin or export the email addresses and import them into a Mailing list system. Access to the WordPress login page is via the URL domainname/wp_login.php. To allows users/subscribers to easily login to WordPress you can enable the Meta Widget.